Can your pet’s pest control product harm you? If you have put a flea or tick powder on your dog (Figure 1) or cat, you likely got exposed to the chemical on it. One of the chemicals often used is called Tetrachlorvinphos or TCVP. TCVP is a bug killer and is applied on pets either as powders, collars, sprays or dips. Figure 1: A dog is being treated with a flea and tick powder. Source: CDC Public Health Image Library. How can humans be exposed to TCVP? Figure 2: The human nervous system. Source: Wikimedia Commons. What can TCVP do to humans? TCVP disrupts the human nervous system – the collection of nerves and fibers that send messages from the brain to the rest of the body (Figure 2)– by blocking an essential enzyme. If not treated on time this can lead to long-term damage or death. However, as the dose decides the poison, it is important to know if humans could get exposed to TCVP in doses or concentrations that are high enough to cause them harm. How much TCVP causes harm to humans? To answer this, the U.S. Environmental Protection Agency (EPA) relied on published studies that examined the toxicity of TCVP at on lab animals and cell systems (cells that were removed from animals or humans). They considered all three routes of exposure – skin, mouth and nose – and identified the concentrations of TCVP that caused the enzyme to stop working or other consequences like reduced growth and development, cancer, or death. They also identified concentrations that did not cause any negative effect (concentrations of TCVP that were safe). The EPA then predicted what these safe concentrations would be in humans. They did this by dividing the safe TCVP concentrations – obtained from animal and cell system studies – by certain numbers. This could account for any difference in the way humans and animals/cell systems react to TCVP. Now that the EPA knew the concentrations of TCVP that were safe and unsafe to humans, they needed to find the concentrations of TCVP that humans could potentially get exposed to. If humans get exposed to unsafe concentrations, there is a good chance that they could be at risk from TCVP use on their pets. How much TCVP are humans exposed to? To estimate skin exposure to TCVP, the EPA largely relied on two studies. In both studies, human volunteers wore gloves and petted dogs that had TCVP-treated collars. Scientists then collected the gloves and measured how much TCVP got on each glove. To estimate mouth and nose exposure, the EPA used algorithms (mathematical formulas) that the agency had previously developed. For mouth exposure, it involved multiplying the skin exposure concentration with data collected on the surface area of toddlers’ hands, the rate at which toddlers secrete saliva, how often toddlers touch their mouths, and several other factors. For nose exposure, the amount of TCVP sprayed/dusted on pets was multiplied with the breathing rate, body weight, and length (time) of exposure. Are humans at risk from TCVP? 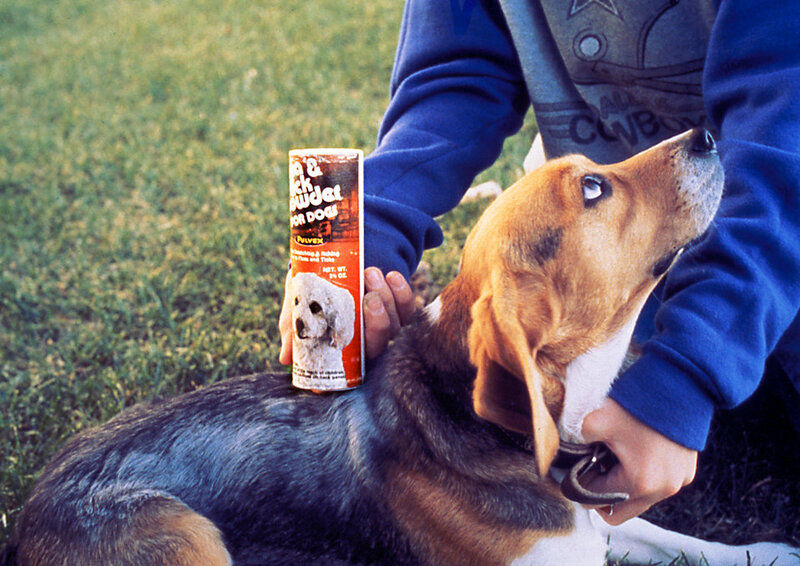 People who apply TCVP to pets or handle pets after applying the pest control are not at risk from skin exposure. Toddlers/children are at risk from TCVP if they touch pets treated with the chemical and place their hands in their mouth (mouth exposure). TCVP collars and dust/powder applications on pets cause this risk; there is no risk from TCVP sprays on pets. People who apply TCVP to pets or handle pets after application are not at risk from nose exposure. In 2017, following the release of this assessment, the EPA contacted TCVP manufacturers to discuss ways to reduce exposure to this chemical. In the meantime, make sure that your toddlers/children are not touching TCVP or pets treated with it, and to wash your hands thoroughly after handling the chemical! I am a Ph.D. student in Environmental Toxicology at Iowa State University. I am studying the risks of insecticide exposure on monarch butterflies. Some of my favorite hobbies include reading, running, yoga and traveling.